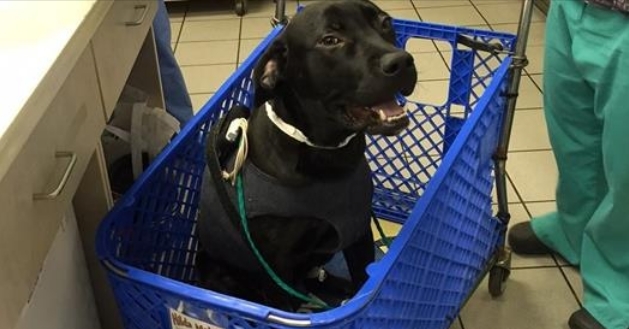 A dog named Barkley recently became such a rider after getting rescued earlier this year. After examining Barkley, North Shore Animal League America learned the happy, healthy-looking dog had a serious heart condition requiring vital surgery. Fortunately, Barkley made it through the procedure without losing his cheerful demeanor, leaving even his doggy cardiologist "on the verge of tears." "He did remarkably well," Dr. Donald Schrope told the animal shelter. "This dog is amazing!!!" While recovering from the procedure, Barkley needed a way to get around. Luckily, Hospital staff had the perfect ride. It will still be a while before Barkley is healed and ready to find a new home. Until then, he'll be cruising in style. As a member of Animal League America’s one-of-a-kind Help Me Heal Program, Barkley will be provided with top-notch medical care from only the best doctors and surgeons. 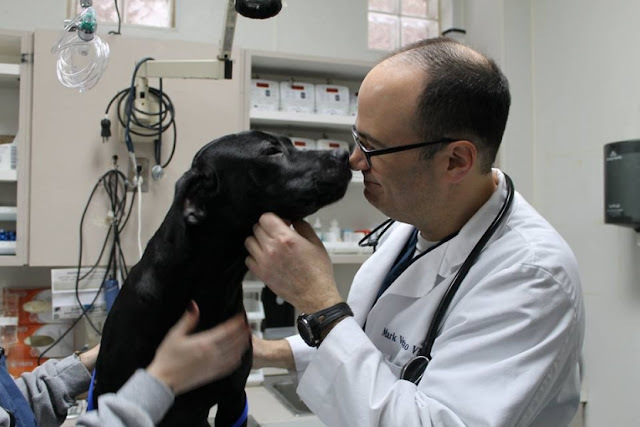 Treating this poor pup begins with the cardiologist who diagnosed him. That doctor will be consulting with a human cardiovascular surgeon in New Jersey, and the two specialists hope to fix both problems with a single surgical procedure. Although the surgeries are very complex and carry a high risk, the specialists feel that because of Barkley’s strong build and otherwise good health, he’s way ahead of the game. 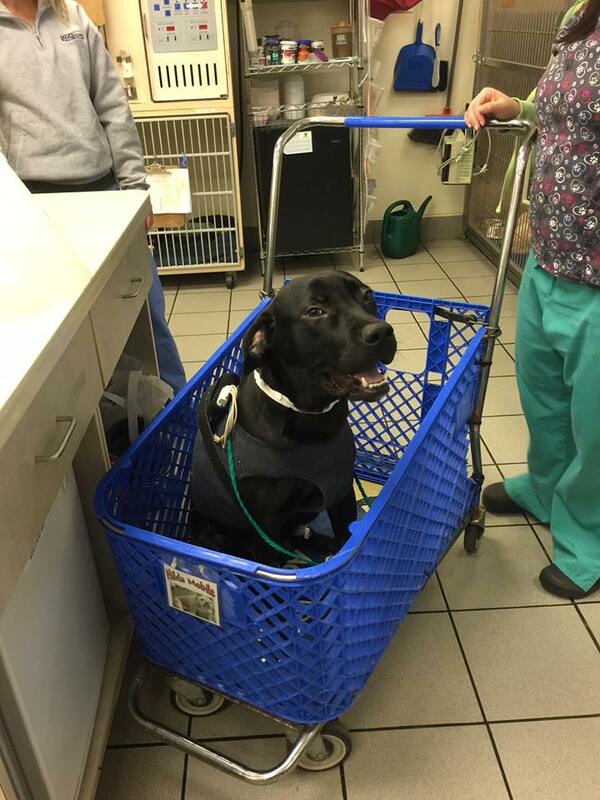 Responses to "Dog Gets Special 'Taxi' To Shuttle Him Around Hospital After Surgery "